Ever since I can remember, on our birthday’s my mother let’s us pick what eat. No matter how elaborate and for those of you who know my brother Ben, you know he can be a little crazy! Anyways, Ben’s birthday was a couple weeks ago and he just loves Chili’s Bar and Grill, so he requested a few items from their menu for us to try to make. 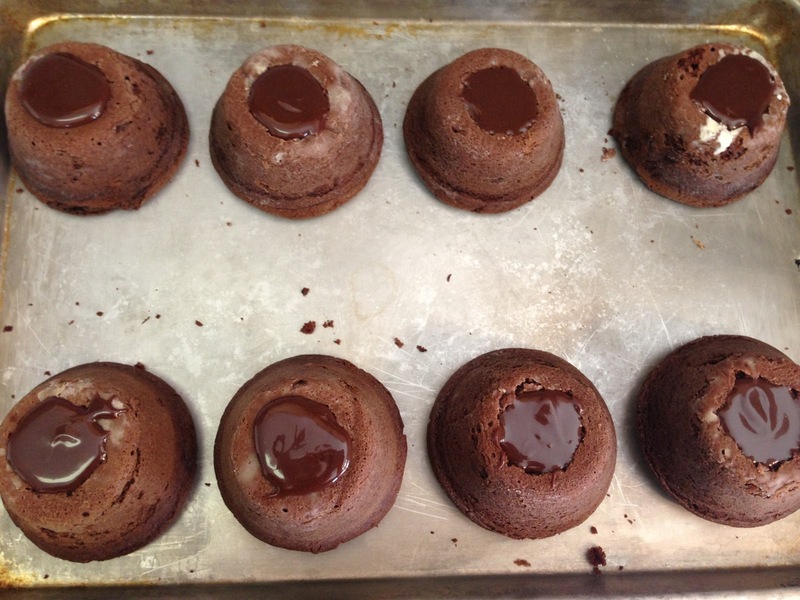 So I did my best attempt at their Molten Lava Chocolate Cake, I may be biased but I think mine is better. I didn’t have the fluted pans so I went to Target and purchased custard cups for $6.87 for 4 cups and they were good sized for this adventure. Each cake took 2 people to eat just so you can kind of gauge it for your parties. I made this really good sour cream chocolate cake which honestly you think, sour cream in cake?! No way! But it is SO good! Best chocolate cake I’ve ever tasted! So here it is! then lightly dust them with flour. combine butter, water and cocoa and cook over medium heat until boiling. bowl and combine with the remaining ingredients. Beat 2 minutes. inserted toothpick comes out clean. take out the cut out circle. the hot fudge for about 45 seconds and then fill up your holes in your cake. freeze them and use them later. people to eat a cake because they are big and rich. Thanks for linking to What'd You Do This Weekend. Pinned and planning to make. Oh yum! I love lava cake. Thanks for sharing with us at The HomeAcre Hop! Chocolate filled chocolate… you got my vote. Thanks for sharing your cake with us on foodie friday. 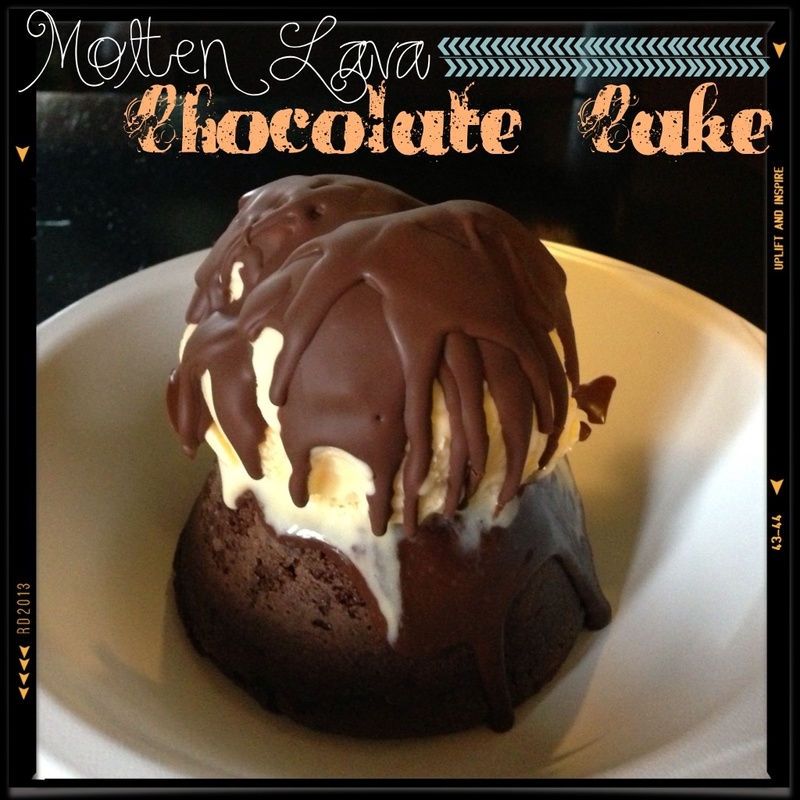 I first discovered lava cakes on a Carnival cruise, and I've been trying to recreate them ever since! I'll definitely have to try your recipe sometime. It looks delicious! Thanks for joining us for Hump Day Happenings. Have a great week!